Immerse yourself in the largest and most stunning monitor from Westinghouse to date 26" LCD monitor L2610NW. This captivating monitor delivers beyond 1080p quality with 1920 x 1200 resolution and a dynamic contrast of 3000:1. With a 2ms response time, this monitor is a perfect fit for gaming, watching TV and DVD and surfing the Internet. This sleek LCD monitor features an impeccable industrial design accentuated with a piano black bezel. A pocket full of style. Great brand and a great price. Just need a "little guy"? Look no further! Grab 'em while they're this cheap! The rugged, compact iP100 Mobile Printer delivers remarkable quality and print-anywhere portability. Its patented print head technology and 5-color ink system let you create spectacular photos with 9600 x 2400 color dpi resolution (max.) How fast? A photo lab quality 4" x 6" borderless print takes only about 55 seconds. It offers IrDA compatibility and an optional BU-30 Bluetooth interface, so you can print wirelessly from a PC, PDA or camera phone. Or, connect a digital camera and print photos directno PC required! An optional Canon car adapter and rechargeable battery kit provide power on the go. Plus, the Auto Image Fix feature corrects images for the best possible exposure, color, brightness and contrast. 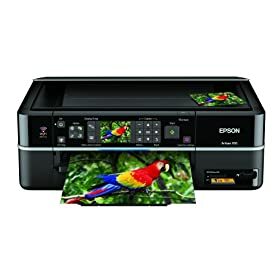 Spectacular Resolution This versatile mobile printer delivers a resolution of up to 9600 x 2400 color dpi, for spectacular detail and clarity. The benefit is exceptional quality for your business documents from cover letters to full color presentations. 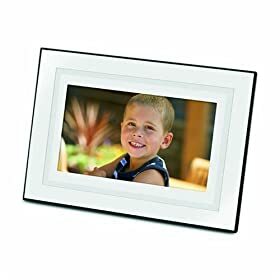 Fast Photo Printing You won't have to wait long to see your great pictures. A beautiful 4" x 6" borderless print only takes approx. 50 seconds. Auto Image Fix The built-in Auto Image Fix feature helps you produce amazing results on all your photos. First, it categorizes your images into one of five types - Portrait, Scenery, Night Scenery, Snapshot with Scenery, and Snapshot with Night Scenery - then applies optimal image correction accordingly. For example, it will automatically brighten faces that are backlit and under-exposed, and correct color cast to help ensure accurate skin tones. Print anywhere, wirelessly The go-anywhere iP100 printer offers both IrDA compatibility and an optional BU-30 Bluetooth interface, enabling you to print wirelessly from a PC, PDA or camera phone. 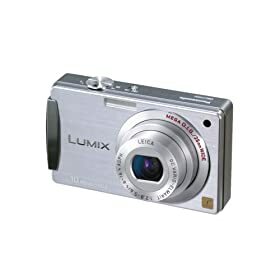 You can also connect a compatible digital camera, camera phone or DV camcorder via PictBridge and print your photos directly - no PC required! For maximum portability, an optional Canon car adapter and rechargeable battery kit provide power wherever you are. 5-inch high quality LCD with 4:3 aspect ratio; KODAK Color Science gives your pictures crisp details and vibrant colors. Get the impossible shot using this amazing tripod! This HD camcorder gets 5 stars from every reviewer on J&R. Check it out! HD-based camcorders are coming down in price. Here's an excellent buy if you've been looking to make the switch! Almost $10 off on this nice-looking USB drive. 4.5 based on 59 reviews at buy.com. Solid unit. Running out of ports on your router? Get this little unit to expand your network. Super-price for a reliable device. Cruzer Micro is small, portable, and smart. New retractable USB port eliminates the need for caps and protects your port. Cruzer Micro provides UFD technology and a U3 Smart capable flash drive w/ Ready Boost perfect fit with Microsoft Vista. It's a computer in your pocket. Serious about protecting your photos? Store them on this fine RAID unit! The CAXA Series external hard drive delivers reliable storage expansion and the incredible 3.0Gbps transfer speed of eSATA, all in one sleek aluminum package. The transfer speed, at six times faster than USB 2.0, will blow you away. The external hard drives solid aluminum enclosure boasts exceptional heat dissipation for near-silent, fan-less operation. The CAXA is remarkably durable, offering state-of-the art shock absorption and superior all-around performance, and its stackable design gives you a streamlined, uncluttered workplace.